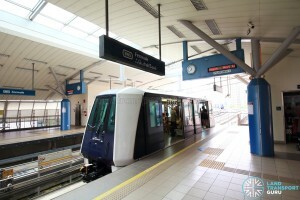 Fernvale LRT Station (SW5) is a light rail station along the Sengkang LRT (SKLRT)’s West Loop. 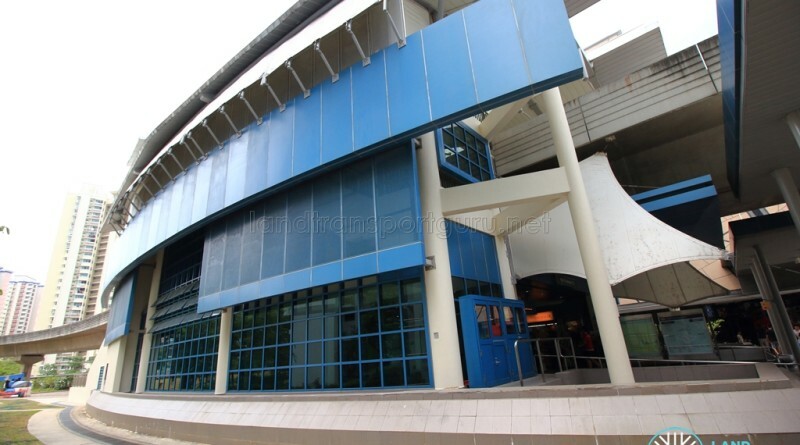 Located within the Sengkang New Town, the station is overground and built near the junction of Sengkang West Avenue and Fernvale Road, next to The Seletar Mall and Fernvale Point. 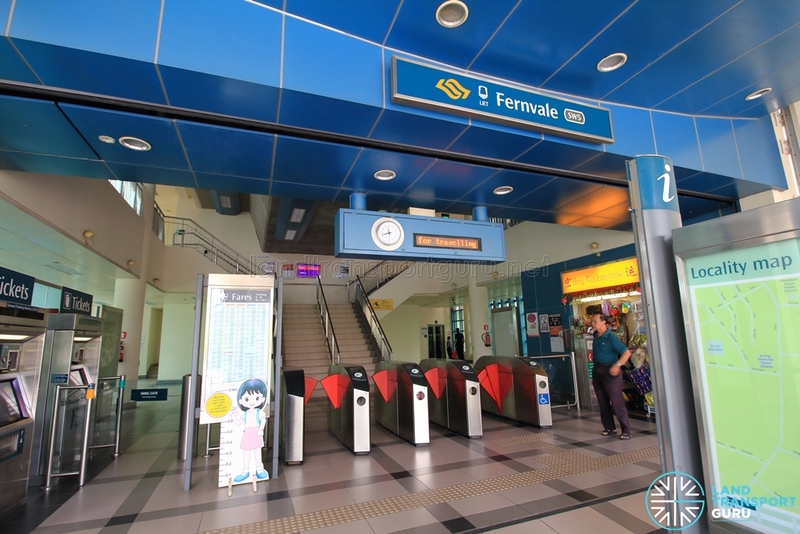 The station is takes its name from the nearby Fernvale Road. 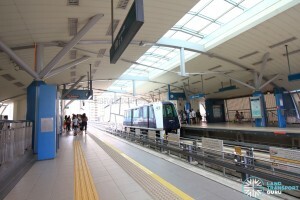 It is also the only LRT station along the Sengkang and Punggol LRT system to feature a side platform layout. 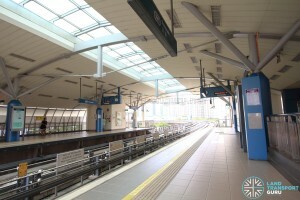 Fernvale station is overground with two side platforms serving LRT services in both directions of the West Loop. Outer and Inner loop services run clockwise and counter-clockwise around the loop respectively. 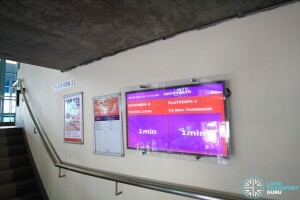 Passenger Information Systems, which are LED displays located at each platform, display the route of the next train and scrolls through messages, while an analog clock gives the time. Tactile flooring helps to guide the visually-handicapped from the platform to the station exits. Staircases and lifts connect the platforms to the ground floor Concourse. 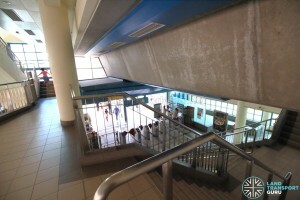 The station concourse at ground level features faregates for automatic fare collection and provides access between paid and unpaid areas of the station, with a bidirectional wide-swinging gate for the benefit of passengers-in-wheelchairs and those carrying bulky items or travelling with prams. 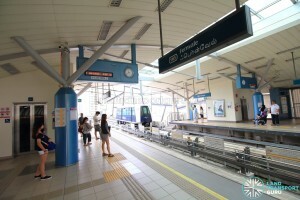 Along the stairways to the platform, next train timings are provided on a plasma screen, the only place train timings are provided along the Sengkang LRT network. 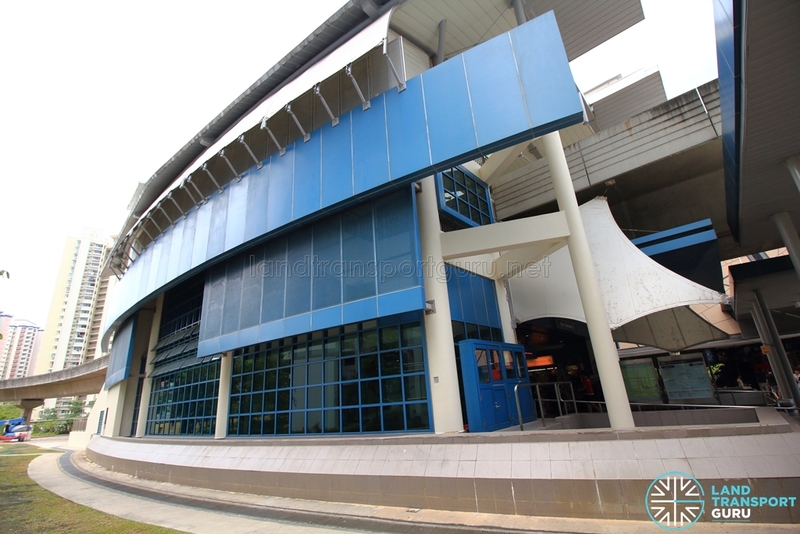 Fernvale LRT station has a single exit at ground level at the north side of the station. Barrier-free accessibility is offered via ramps. Fernvale station connects to two bus stops in the vicinity. Bus stops near LRT stations are not numbered. Fernvale station opened on 29 January 2005 along with train services on the Sengkang LRT West Loop.